—it’s too hard to spell (and pronounce). Let’s deal with the second reason first. Everyone spells it wrong. Forget it. 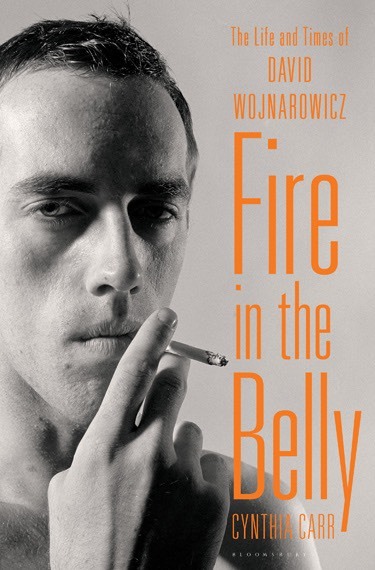 And the first reason, of course, is why you should know who David Wojnarowicz is. Where are all the angry young men? Contemporary life is not only culturally constrained, it is a compromise of privacy, of identity, of rage. We have to log on. We have to survive. Network, or perish. What happens to the fuming young artist who sledgehammers his dealer’s wall? Who ditches his friends by the road in Nevada? Who marches in and takes paintings out of the exhibit? It’s a romantic picture, the outsider, the rebel, but in reality, we are all too replaceable, too jaded, too doomed to wield our mallets. Or perhaps, we are too doomed to do it all the time. The anger that David Wojnarowicz channeled, his lashing, spitting invective against a life prescribed from birth, has become familiar, a mundane emotional disorder, easily treated by another prescription. Rage, at the governmental handoffs to hemorrhaging corporate behemoths, at the senseless cues of teleprompters, has become the dial tone of everyday life.